Ty Bladen had no intention of returning to the house that had been his nightmare, but the past always had a way of rearing its ugly head. He had survived being tossed over a cliff and landing in a nest of vipers and during his time out of commission, his friends had been attacked. A terrorist was playing with them, but there were additional threats closer to home. Home. That house had never been a home, but it had been used by the enemy, and now he, and his fellow Red Team members, would use it to figure out what terrible games his father had continued to play once Ty had left. Eden Miller hadn't planned on getting involved with the man she'd met at the bar one night, but when he showed up after her friends had been attacked, she quickly found herself involved in more ways than one. There was no denying the attraction between them, but Ty kept pulling away. Echoes of the nightmares from the past permeate the house, but the question of what Ty's father had been involved in these past years needs answered. As the team searches for clues, Eden tries to find a way to break Ty free from his past, and into a future within her arms. I loved it. Heart-wrenching, intense, somber, heroic, passionate, touching, poignant, endearing. I could continue, but mere words barely scratch at the surface of the depth of this story. This was not an easy read, but it became an obsession. I needed to see Ty reach his happy ending with Eden. 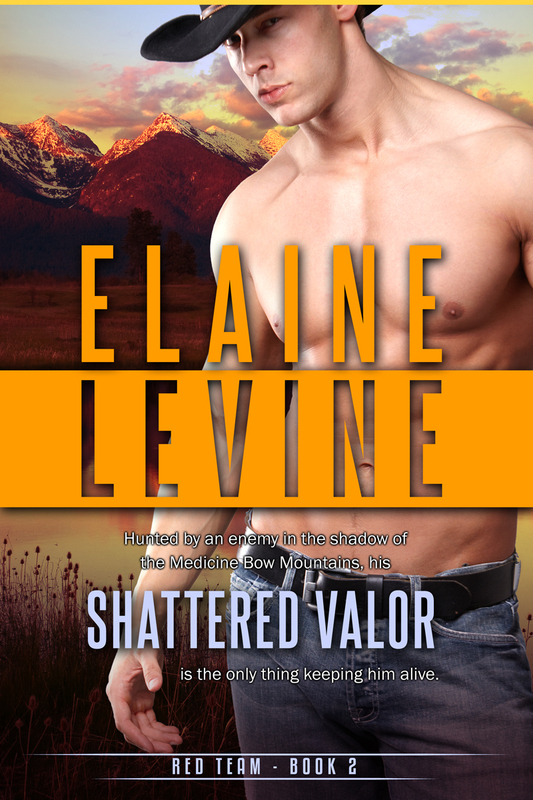 Shattered Valor is one of those stories that will stay will me forever. As the second story in Elaine Levine's Red Team series, we had an opportunity to get to know the members of the team better, and, quite frankly, I'm addicted. I want each character to have a book - now.